UrbanCincy has been contacted by thousands upon thousands of Cincinnatians clamoring for Google Transit to come to Cincinnati. Virtually every bus-related story published on UrbanCincy over the past three years has included at least one comment expressing this desire. 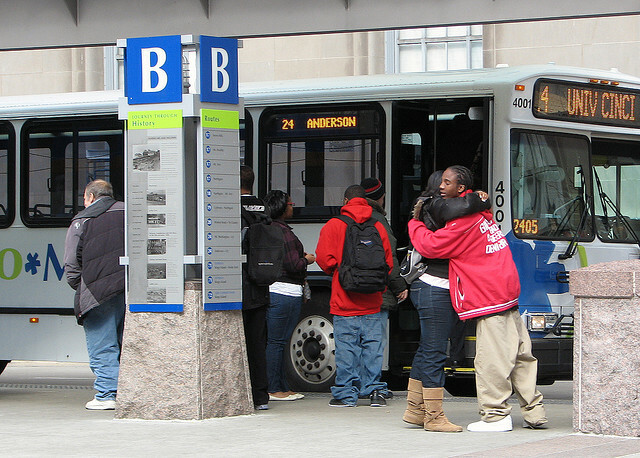 Those who ride buses operated by the Transit Authority of Northern Kentucky (TANK) have had the pleasure to use this intuitive transit planning system for some time, and most major transit systems around the country also are included. In Cincinnati, however, the Southwest Ohio Regional Transit Authority (SORTA) has had difficulty working with Google officials in sharing data and getting the system functional for the region’s largest transit operator. SORTA is currently working with Google and is in a testing phase for the transit mapping system, and they would like Metro bus riders to provide feedback to ensure that the service is working correctly before it goes live to the public. Those interested in testing it out, and providing feedback, can do so by visiting Google Transit and simply entering in a beginning and end destination which you would like to travel by bus. The mapping system works exactly the same way as directions on Google Maps. Once you give it a test drive, you can then provide feedback to SORTA by emailing MyMetroStory@go-Metro.com, or by taking their short online survey. SORTA officials are asking that feedback be as specific as possible, so when referring to something you noticed, please provide the map URL and describe the error or positive result you received. Those who contribute before Friday, May 6 will then be entered into a drawing where three randomly selected individuals will receive gift certificates for a month of free rides on Metro. Once testing is complete, SORTA officials hope to promote Metro on Google Transit to the public this summer.